So after I got that tattoo, we decided that I wanted to get another. 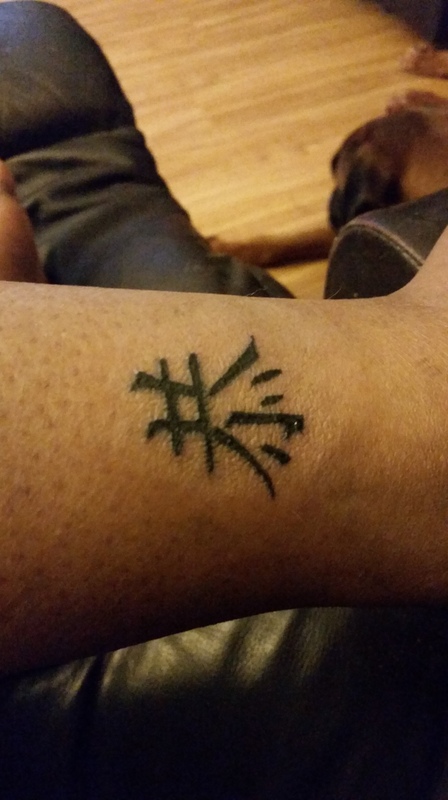 So I got the Chinese symbol for submissive above my ankle. Sir is thinking he’s going to get the Chinese symbol for Dominance on his right bicep sometime soon. 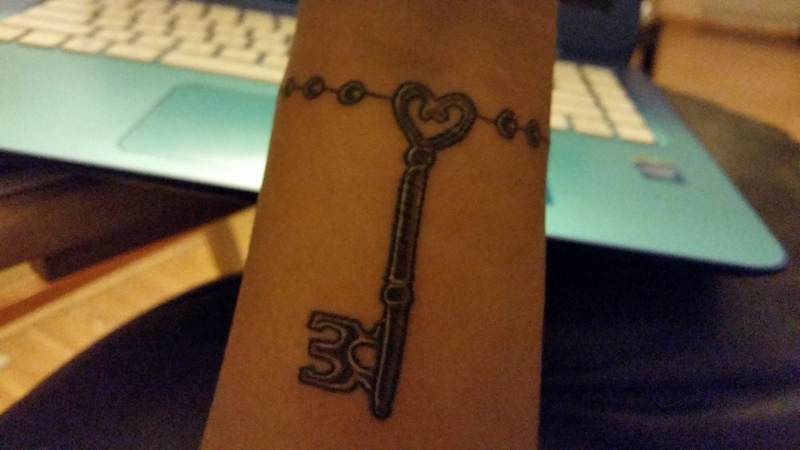 So now I have two tattoos to take care of and not to mention hide. 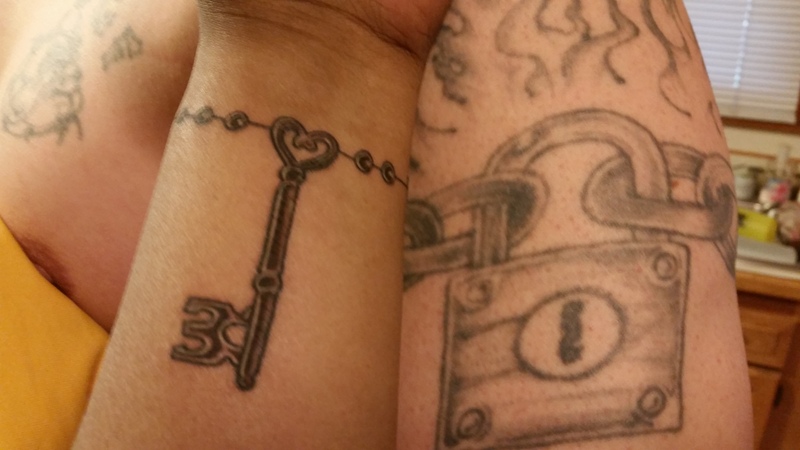 In my career we aren’t allowed to have tattoos showing so I have to come up with a clever way to hide the key. LOL. Hide the key. Funny. But I’ve been taking good care of them for the past couple of days and I am going to be off work for at least a week due to health reasons so I have plenty of time to come up with a way to cover the key up. I can’t stop staring at the tattoos, Its so symbolic for us. Lets me know we will be together forever. 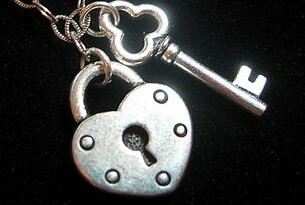 We are finally Under Lock and Key. I love it. I am his forever.